From inside the Haas Pavilion for Cal-Stanford, I observed things. This is what I went home thinking about after an entertaining 69-59 Cardinal win. I laud you to finagle yourself into excellent basketball tickets. They are a dish best served free so always say ‘yes’ when offered tickets. It remains my life’s greatest regret that I adhered to a study schedule (yes, that was a component of college life for me) rather than accept the owner (owner, as in: Man who shelled out cash to make decisions) of the San Diego Padres’ tickets. Of note, I did not study and watched the entire game on television. I digress. When you’re up close for a basketball game you get to see exactly how seven feet fills up a lane. Suddenly, ‘points in the paint’ isn’t a statistic, it’s a goddamn Purple Heart. 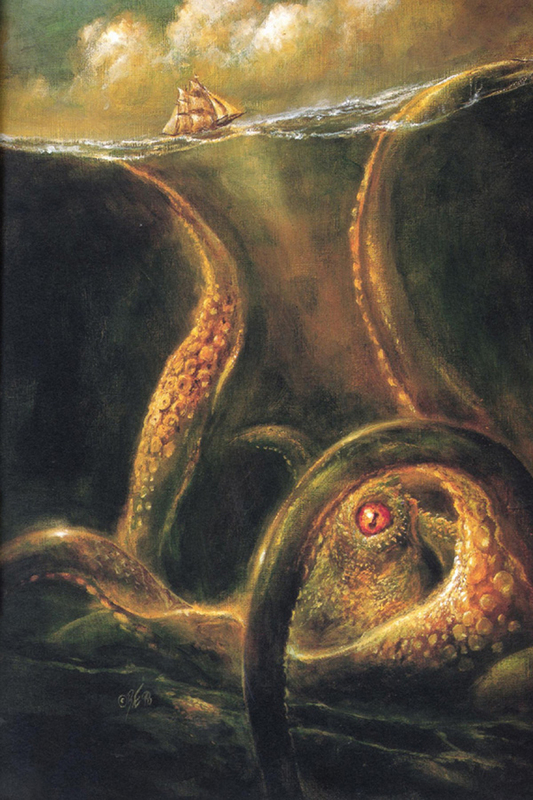 Length isn’t so much a draft component, it’s the tentacles of The Kraken. Pac-12 Defensive Player of the Year: A VOTE! The Pac has definitely taken a turn for the defensive considering the days past. In 2001-02, the Pac-10 had seven of it’s teams scoring more than 73.1ppg. Today that number is just two, and they barely eclipse that mark. So yeah, it’s a big deal to be named the Pac-12 dPOY in a day and age when defense is becoming central to the changing western style. Here’s a dude I recently saw Seth Davis call the most underrated in the nation. I’m not exactly sure if this is a good distinction or not and Isn’t calling him underrated sorta like rating him? Alas, his play stands for itself. We’ve watched this dude defend the spectrum of sizes and shapes and he’s taken all comers. His length is something to behold. Many still feel he was a major snub from last year’s dPOY during the Jorge farewell tour, further adding to the underrated dialogue. Whatever you want to call it, this guy can lock down. 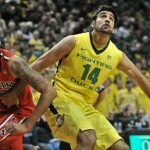 From the moment I saw Kazemi take the court, I was impressed with his rebound timing. I watched him elevate as others were being sucked down by gravity along with the ball. But the Iranian-born kid was going up, a position of strength, to capture that ball. To secure it. And he did. Like really well, amongst many other things. 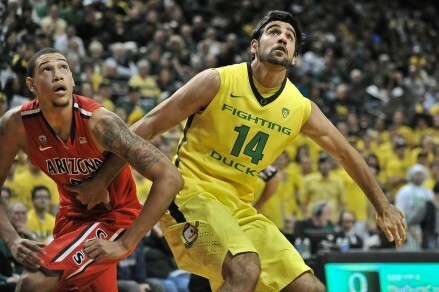 As the argument was made for him is POY, Kazemi has done a bit of it all and well. Look, this is a two man race, but I wanted to be sure to include the athletic guy with a fro because he’s pretty darned good, too. Capturing Their POY Momement: Crabbe, Carson, Others? We are entering awards season and while I’m not about to make too many picks, I do think Argo and Silver Linings Playbook will be announced frequently this coming Sunday. But just as these films get some late sprucing as Oscar Sunday is approached, some late hoopla and for your consideration moments, so too do the candidates for Pac POY. As sports fans, we’re fully aware of moments and celebrate those who capture them. While Derrick Williams was walking away with the POY award, his depositing of Darnell Gant’s shot was a POY moment. I suppose for Jorge it was some charge he took. Other names could be dropped into that list but then we’re just building out an All-Conference team and we’re not here for that. We’re looking for the one and even this list feels long. But the Academy is now dropping ten films into consideration so I figure we can extend ours to five. Now I haven’t the slightest clue what the voting criteria are. I don’t know if this is an award given to the best player or the most valuable one but as it were, looking back historically, it appears the award is given to the conference’s best player which tends to also be the most valuable. An easy overlap. Just rattling off the last few winners’ names you get that sense: Williams, Randle, Love, Harden, Afflalo, Roy. All very recognizable names. Team success often plays a part which is why Brock Motum didn’t win last years award and the coaches decided to give Jorge a career achievement award. But this year, as is clear by the above list of studs and their output, there’s a legitimate battle for the award. Interestingly, Arizona and Oregon have such balanced production that their best players have played their way out of POY contention (though I think they’ll be OK with a conference title or a nice March run in its stead). Diving into that list, I’ll say that I really like Spencer Dinwiddie’s game. I think he’s a complete guard with tremendous size and a league future. I don’t think he’s going to win this award. That’s not to drop him from this list, he makes it in my mind as an MVP-type, but as POYs go, he’s not yet there. And while CJ Wilcox is one of the smoothest players in the league, 13ppg against the conference’s top three teams (AZ, Ore, UCLA) doesn’t exactly do it for me. One thing that definitely does it for NBA scouts is Shabazz’s mid-range game which is lethal considering his size and athleticism. But his game is relatively mono-faceted – scorer – which isn’t necessarily a bad thing, it just would seem to eliminate him from the POY race. His team does sit near the top of the conference but their collective success seems to have them in that position. And so we’re left at two: Carson and Crabbe. The former is a super freshman. He’s the centerpiece of ASU’s transformation into possible dancers and has been equal parts fantastic and valuable. Crabbe too has been great and perhaps overlooked until recently as his team has catapulted back into the top half of the conference standings. So facing what appears to be this two man race and returning to the aforementioned moments, who will capture theirs? I think Allen Crabbe is going to have a big chance tonight as his red hot Bears travel to Eugene to take on the first place Oregon Ducks. A big game here and Crabbe maintains POY-mentum. And this is really his biggest opportunity for a statement game. It’s the last team the Golden Bears play ahead of them in the standings; though big games against Colorado and/or in The Big Game (3/6) could go a long way in securing the award. Last night, Carson did nothing to hurt his chances of POY-dom with 21/4/5 against the lowly Cougars. He’s vying to become just the third freshman to ever win the award, joining the likes of Kevin Love and Shareef Abdur-Rahim. Good company and his closing arguments could come in the form of big games on the road. A place the young man is learning to thrive. Remaining are contests at UCLA and at rival Arizona by which Carson could find his name etched onto the POY cup – or whatever it is they give the player. But the overarching excitement here is that we are having a POY talk which means we’re remarkably close to what’s shaping up to be one of the maddest Marches in awhile. Yesterday we looked at the Pac-12 South’s point guards – a group of talented underclassmen and steady upperclassmen. In the North, we about follow the same trend as there are a number of potentially explosive newcomers, most notably Tony Wroten, Jr.
Washington State: Reggie Moore had a bad sophomore season. His numbers were down across the board, he battled an injured wrist, and he was arrested. Then Klay left. And Angelo. It would appear the cupboard is bare in Pullman. It’s my belief, however, that Moore’s 2010-11 season was anomaly. Moore is just a season removed from being neck-and-neck with Derrick Williams for the Pac-10 FOY. He’s a quick guard and strong, a good distributor and finisher with a knack for getting to the line. Washington State’s success rides squarely on Moore. And evidently he is his own harshest critic which should translate to a big junior year. If indeed his health and confidence are back, Moore and the Cougars could surprise some people. Washington: If one is good, then two is better. Junior Abdul Gaddy returns from knee surgery and will be helped by one of the most heralded point guard recruits in the country, Tony Wroten Jr. Gaddy has been slower to develop than most would have liked – he averaged just 4 points and 2 assists as a freshman. But he did double his freshman stats in year two before tearing his ACL. His new sidekick, Wroten, is an equally as heralded recruit – the 17th best player in the 2011 class. Not only does he arrive in Seattle with recruiting hype, Wroten has already been compared to Magic Johnson by his coach, Lorenzo Romar. Lofty to say the least, but Gaddy’s steady play and Wroten’s flash, could have an upset minded UW squad causing trouble. It also never hurts to roll out 6’3” (Gaddy) and 6’5” (Wroten) point guards. Oregon: First dibs as the Ducks starter go to Garrett Sim. Dana Altman is handing the keys (and yes, you’re welcome for the Haarlow link) to his high octane offense to the senior point guard. While he’s not going to wow you with athleticism or shooting – 34% from three and 42% overall – the senior won’t turn the ball over, makes good decisions, and will hit his free throws. Sounds about right for a team with eight fresh faces, plenty of scorers, and a whole lot of under-the-radar hype. Many are calling Oregon a possible sleeper and Sim’s steady hand can go a long way in making that a reality. Then there’s also the talented Jonathan Loyd who didn’t quite live up to expectations last year but returns to Eugene ready to contribute in 2011-12. There’s some players in Eugene and Altman can coach. Whether they’re a sleeping giant or not, they’re going to be an interesting team to watch. Stanford: Does this school just keep seniors around to play point guard? Jarrett Mann is the likely starter and he has some lofty shoes to fill amongst the litany of capable, stable, upperclass Stanford PGs. Remember Chris Hernandez, Arthur Lee, Michael McDonald, and Mitch Johnson? Yeah, all pesky winners. But Mann and the other Cardinal point guard candidates (Aaron Bright, Chasson Randle) will have some work to do. They don’t return the most talented group but rather one with potential. Mann isn’t going to make this team blow up, in fact he’s probably best suited in a backup role; but he’ll allow the Cardinal to start the season off in a controlled manner, befitting Johnny Dawkins’ style. Don’t be surprised to see plenty of Chasson Randle, either. The dynamic freshman can bring some scoring and a style that compliments their athletic bigs, Dwight Powell and Josh Owens. Bright received plenty of minutes last year and his game is similar to Mann’s, heady and steady, but brings some additional athleticism to the court. Stanford will be an interesting group and the point guard position is no different. Ultimately, the battle for playing time will only make this team better. California: The steadiest of all the league’s point guards: Jorge Gutierrez. A pest, to say the least, Gutierrez is the type of player you hate on their team but love on yours. By no stretch is he the most talented player on the court but he is going to give big effort. He’s gutsy and tough and makes things happen; a dangerous combination for any player, let alone a senior on a talented team with high hopes. He’ll use his size as an advantage in defending smaller guards and to score when guarded by them. He needs to improve his assist/turnover ratio (4.5/3) or really just cut down the turnovers, but many have predicted Gutierrez to be the conference’s player of the year. 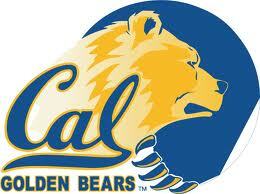 If he is, look for Cal to top the standings come Pac-12 tournament time.